Come take a class with us! 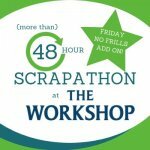 Lots to choose from, for all types and levels of papercrafters. Just click on the class you're interested in for more details. And come back often, as we're adding new classes all the time. You can register in person in the store, online or call us at 905-642-1742 with your payment information. Want a class on a topic or technique? Just ask! I am always looking for new ideas. Please note: All class registrations must be paid in full before your spot is saved. We do not accept etransfers, cheques or money orders. Receive a store credit towards another class if you cancel more than 48 hours prior to your class. 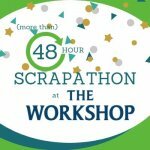 ** Exception for 48 Hour Scrapathon - read below in Scrapathon description. No refund if notice of cancellation is less than 48 hours. 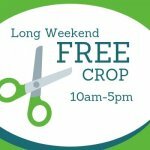 Come use our crop space for free. 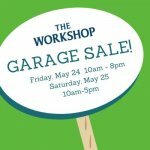 Bring your own projects and supplies. 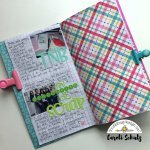 Create the album covers, hinge spine and pages (including flips and pockets) then decorate! 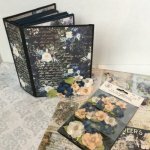 Featuring Prima's "Georgia Blue" papers and embellishments. 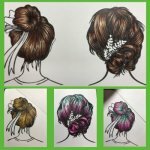 Learn different techniques for colouring hair. Designed to help you schedule in time regularly to craft, make beautiful cards and learn some new techniques. Come decorate inserts for your Foundations Decor shadow frame. FUNDRAISER! Support Tori's trip to Africa by attending this book binding class. FUNDRAISER! 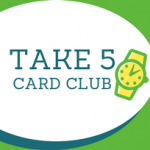 Support Tori's trip to Africa by attending this cardmaking class. Come make 12 cards using Jillibean Soup's Rainbow Roux papers and extras. Clean out your stash and earn money to get new goodies. You package it, we sell it and give you store credit back. 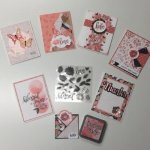 Learn techniques using Nuvo Shimmer Powder and various drops to make 4 stunning cards. Advanced level class using stamps and watercolour markers. 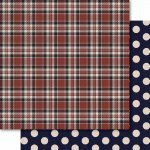 Make a bunch of cards using 1 sheet of patterned paper. Come and complete a full Traveler's Notebook (20+ spreads) using Simple Stories Vintage Traveler supplies. Non-refundable deposit for November 2019 retreat at the Festival Inn in Stratford November 8-10, 2019 Once you have paid your deposit, please email customerservice@craftersworkshop.ca and tell us your room size choice (single, double, triple or quad) and expected roommates, even if they have not yet paid their deposit. Non-refundable deposit for March 2020 retreat at the Festival Inn in Stratford. 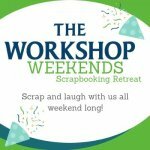 March 27-29, 2020 Once you have paid your deposit, please email customerservice@craftersworkshop.ca and tell us your room size choice (single, double, triple or quad) and expected roommates, even if they have not yet paid their deposit.